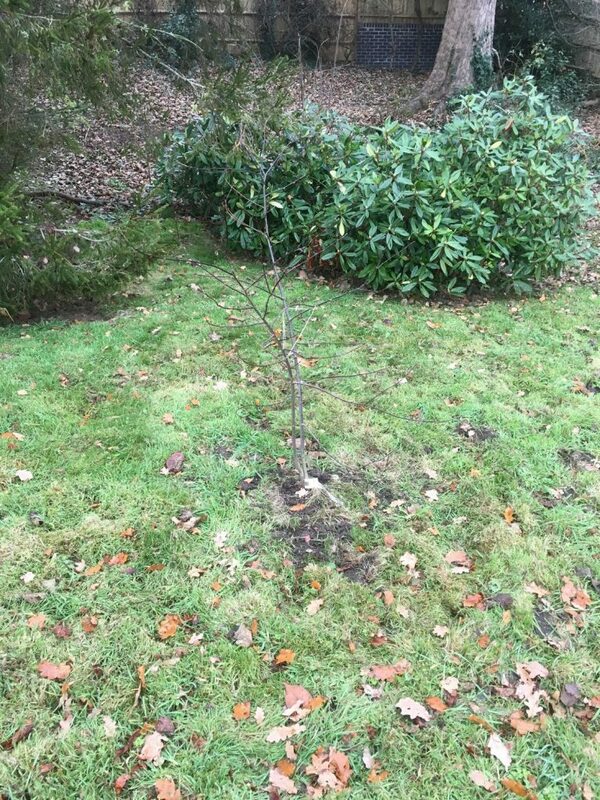 One of my aims this week is to complete the planting of my almost complete collection of native British trees in my Staffordshire garden. There are 32 native British trees of which I have 14 already growing in my garden. In 2017 I bought from Hillier 12 of the missing 18 and decided to pot them on to grow to a larger size and plant out now. The first three, the Goat Willow (Salix caprea). The Crack Willow (Salix fragilis) and the Bay Willow (Salix pentandra) have already been planted in a very damp area of the garden. We have got enough space for them but the ground is still pretty dry and I don’t want to have to spend December watering them. So I shall be doing my own version of the rain dance! The six missing trees are the Small Leaved Lime, Wych Elm, Sessile Oak, Ash, Black Poplar and the Midland Hawthorne. If anyone know where I can obtain any of these – do please let me know via email grahampaskett.paskett.co.uk . It is terribly important to grow native British trees because they are an important genetic link to our history and the natural hosts to all wildlife and insects. The challenge I am facing is trying to find labels that will identify these trees – including the ones already growing. I really would like something with the Union Flag on it but, as yet, have failed to identify something that will last the life-time of the tree and be attractive. It will also be interesting to find out whether the willows already planted actually help to dry out the land in which they now live. Next PostNext Snow problem; vegetable patch preparation!